Spending a lot of her time in the region of Småland, the heart of production in Sweden, Petra Lilja is interested in the historical as well as current nodes of production. 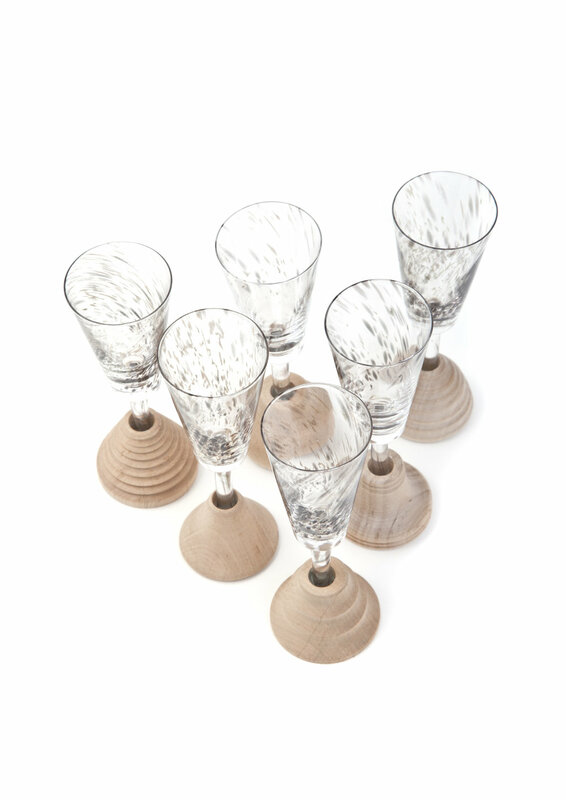 In her explorations of glass, she has worked with the family run glass factory Skruf who are open-minded to her ideas of for example combining glass and wood. All woodwork is made by wood carver Carsten Nilsson. 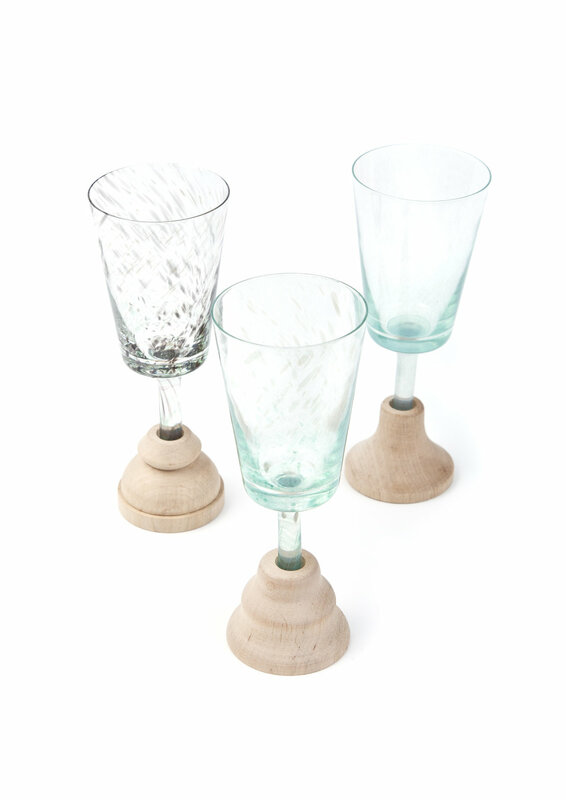 The small glasses are all unique in colors and the shape of the wooden bases, inspired by times when artifacts and material where scarce and perhaps more highly valued. If a glass broke, you’d mend it, not throw it away. 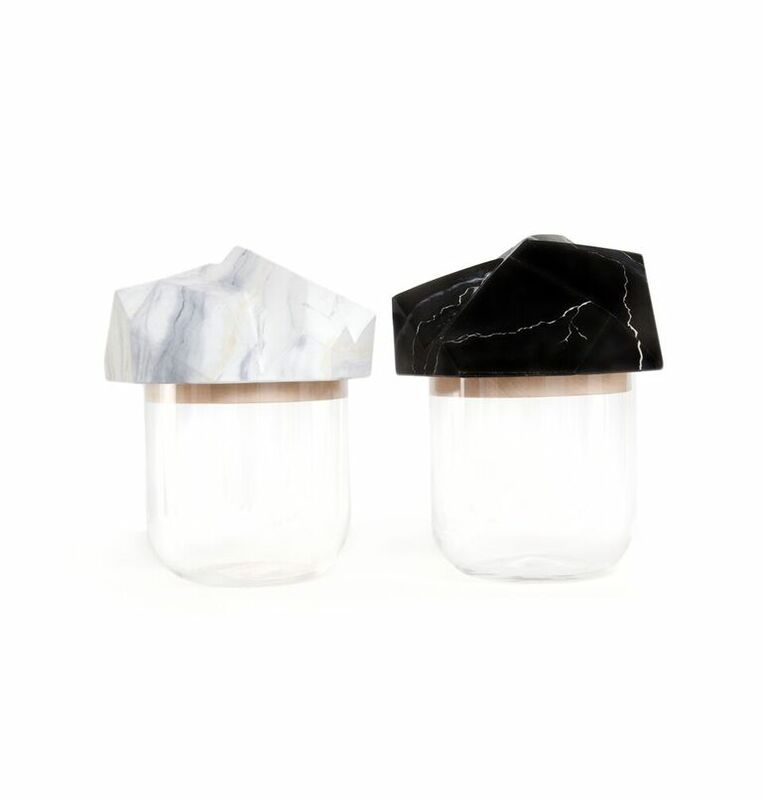 The glass jars with over-sized lids are part of the Medusa Design Collection, décor pained as marble, playing with the illusion of heavy and lightweight. 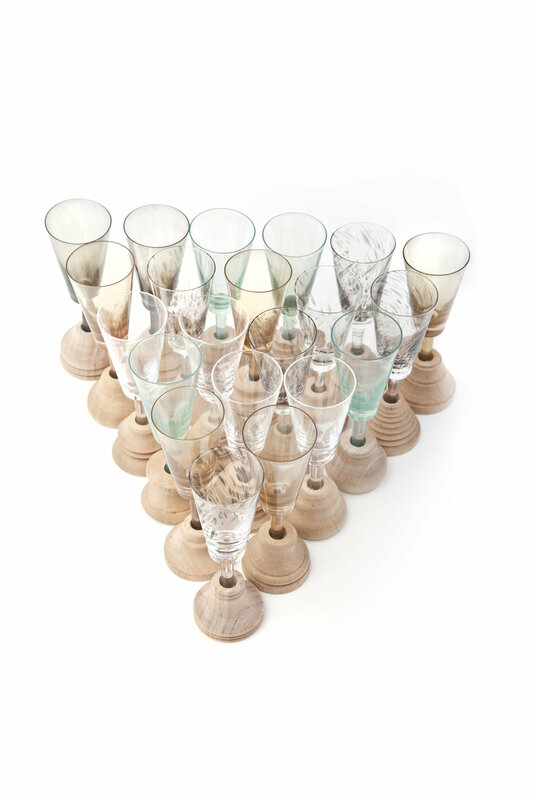 The vases and bowls are part of the Stairs Collection, sold by Props by Kampmann, Stockholm.